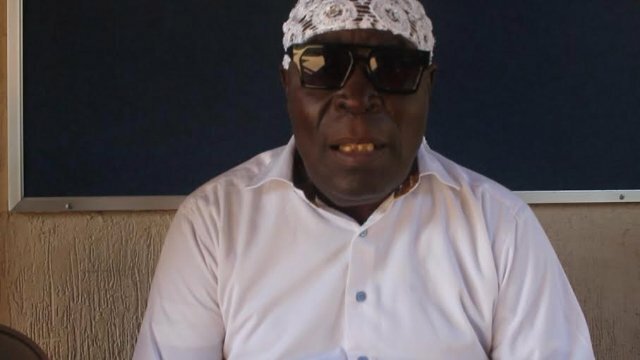 Veteran Ghanaian actor McJordan Amartey is dead, Starrfmonline.com can confirm. His son, Dr Amartey, confirmed that he died at the Korle Bu Teaching Hospital Thursday evening. His family had taken him to the hospital after struggling to get him to eat solid food. He had since been on admission until his death Thursday evening. McJordan Amartey appeared in several hit movies including all-time favourite the “Idikoko” series, TV Theatre productions and numerous movies like Black Star 2 (2006), The Returnee (1995) and Victim of Love 2 (1998). After years of speculations about his health condition, the legendary Ghanaian actor finally broke his silence confirming he was physically challenged in 2016. Answering questions on why he had been absent from the movie scene, Mr Amartey who is noted for the use of’ ‘big’ English words in his movies, explained that his right leg had been amputated which had prevented him from accepting movie roles. “Actually, I am physically challenged. I can’t walk steadily. My right leg has been amputated and its been sorrow for me. It’s about four years since my leg was amputated,” he said.